New BMC crowdfunding drive seeks to preserve our mountains for generations to come. The appeal is supported by celebrities like Sir Chris Bonington, Julia Bradbury and Steve Backshall and is a follow-up to the BMC’s original Mend Our Mountains campaign. This ran in 2016 and was hugely successful, raising over £100,000 from public donations and eventually being voted ‘Campaign of the Year’ by The Great Outdoors magazine. The campaign will run for at least six weeks from today and will be a fundraising appeal with a difference. Powered by innovative and award-winning online platform Crowdfunder.co.uk, would-be supporters can choose to claim a reward in exchange for their donation. 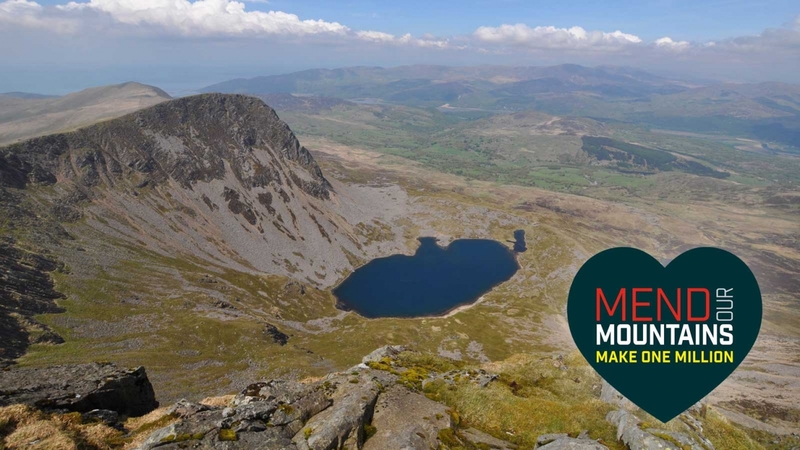 Plas y Brenin are proud to be supporting through the donation of two unique rewards: a guided walk on Cader Idris, one of the mountains set to benefit from the campaign, and five days of dedicated rock climbing coaching from one of our world-class instructors. Dave Turnbull, British Mountaineering Council CEO, said: “Mend Our Mountains is the BMC’s flagship initiative, our way of giving back to the mountains we love and use.